Equipment leasing is one of the simplest ways of financing your business, yet a lot of people fail to notice this. 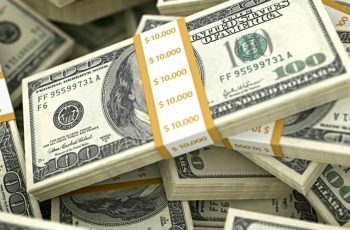 It may not necessarily increase your income but you can be rest assured of significant savings which can be invested in other aspects of business. In this write up, you will learn the basics of equipment leasing and have the conviction that it could sponsor your business. Equipment leasing is an agreement in which a business firm rents the equipments needed for its activities for a specified period of time and at a specified cost. At the end of the specified period, the lessee (business) may decide to buy the equipment rented at its market value (or at any agreed amount), extend the period or return it to the owner. The main benefit here is that there is significant cost savings compared to buying the equipment. This serves as an alternative to cash strapped businesses. It also aids entrepreneurs who have the plans to bootstrap their way to business success. 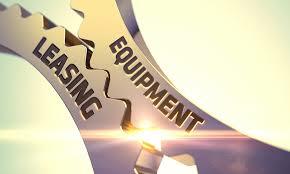 Like all other businesses, the equipment leasing business has its own critical success factors. Here, I’ll list three important things you need to know before venturing into this business. It is capital intensive: The business is in existence because not everybody can afford to own all equipments needed for their business. The reason why clients will hire equipments is because of the high cost of purchasing them which is what will keep you in business. The equipments you have are the essence of the business hence, take good care of them. It is your responsibility as owner to make sure there are regulations to ensure the equipments are managed, maintained and operated properly. It is important to maintain as at when required to avoid breakdown. This is also known as service leases which procure for both financing and maintenance. 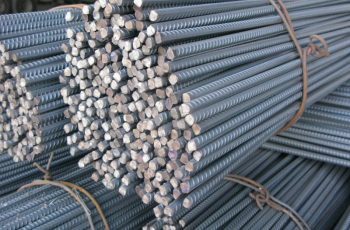 The owner is responsible for protecting the equipment as the lessee uses it.The cost of sustaining the equipment is usually worked into the rental price to be paid. Office copiers, trucks, medical diagnostic equipment, computers and automobiles are examples of equipment categorized under operating leases. This is also known as capital leases and is markedly different from operating leases as they do not provide for sustenance and cannot be cancelled. They are commonly in place for a period equal to the useful life of the equipment. This is also known as service leases which procure for both financing and maintenance. The owner is responsible for protecting the equipment as the lessee uses it. The cost of sustaining the equipment is usually worked into the rental price to be paid. Office copiers, trucks, medical diagnostic equipment, computers and automobiles are examples of equipment categorized under operating leases. It is very important to carry out a market survey to know the needs of your potential customers. This because under the same business, there may be widely different needs of customers as a bike rental downtown will have various customers than one by the beach, and they will totally have different needs. A business plan is very much needed before going to this business most especially if you intend borrowing. Having a well researched and viable plan makes you have access to loans from financial institutions like banks. A typical business starts with an executive summary which will include the structures and the core values of your business. It should also include the items you intend to lease and a market evaluation which will state the target market for your business. This type of business requires a high start-up capital. As it is a business which works by purchasing equipments and leasing it out to others, there is need to develop a significant stock of equipment before starting the business. Have in mind the potential cost of developing the needed stock and draw up estimates. The type equipment to purchase can be known from the study of your potential/target market. Avoid idle inventory by all means as it takes up money and space which could be put to profitable use. Don’t spend too much at the early stage, buy the minimum possible initially and buy more at a later time based on demands. You need to make the most out of every penny you spend on purchasing equipments. Since equipments are the essence of your business there is need to invest in them carefully. Instead of spending all of your money on the best and newest equipment you can possibly find, consider your opportunities. The work to be done is heavily relies on your location. Besides the procedures of starting, there are excess insurance liabilities in this business. Also, your business depends on non employees putting your equipments to use. Place to stay- hotels, bed and breakfasts. As you are into business, you need to look into more than just renting equipments. Communication with potential customers, employee management, accounting etc should be looked into. Luckily, we have a list of approved business applications for you. Cosmetic repairs- your equipment needs to look like new as well. Maintain a good aesthetic appeal for your equipment to make a good impression on customers. How the equipments should be operated- what is the acceptable wear and tear? Where and when does the lease start and end? Which action should be taken by a customer when something goes wrong? What are the penalties for loss, theft, damages, and late returns? To operate lawfully, your business needs to be registered with the appropriate government agency in charge of business registration usually the corporate affairs commission. Business license application forms can also be found at city hall. I believe going through all above, you should by now have a very good idea of how to go about turning your rental business or your plans to have one into a stunning success. All you need to do is to bring all these ideas into a formal business strategy- a business plan. A business plan is very much needed keeping the saying in mind- failing to plan is planning to fail.